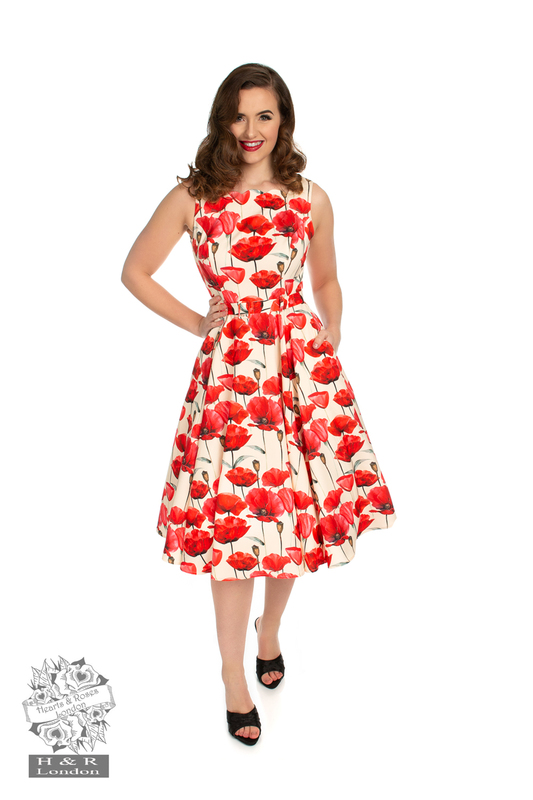 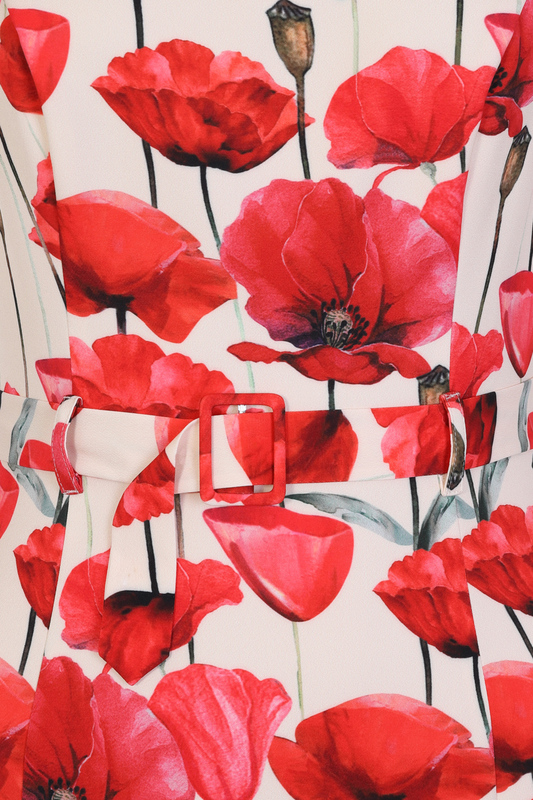 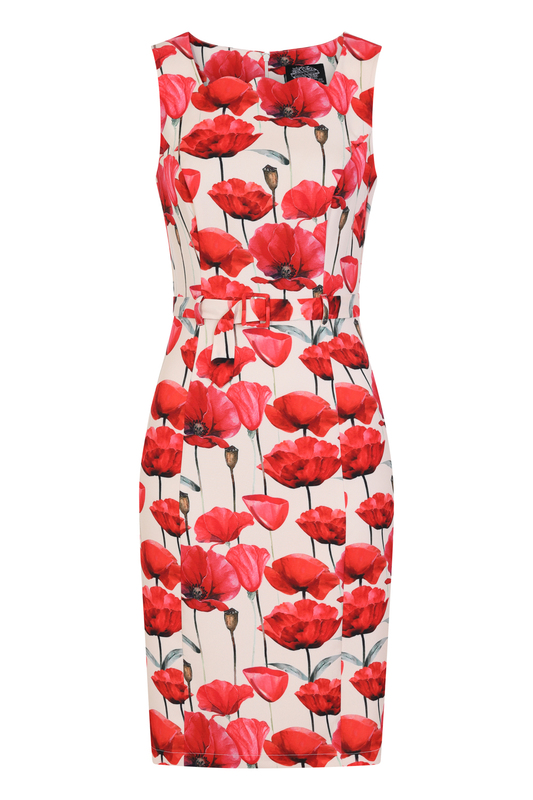 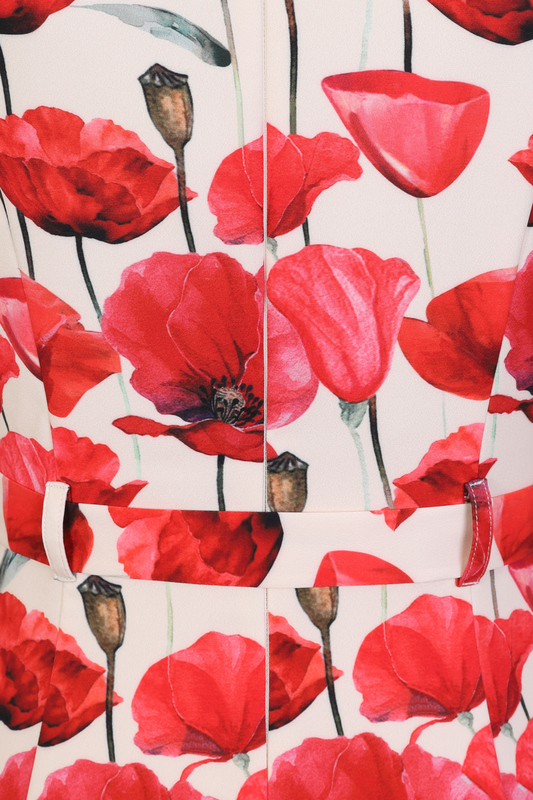 This sweet poppy dress is the perfect piece for adding a pop of colour to your wardrobe. 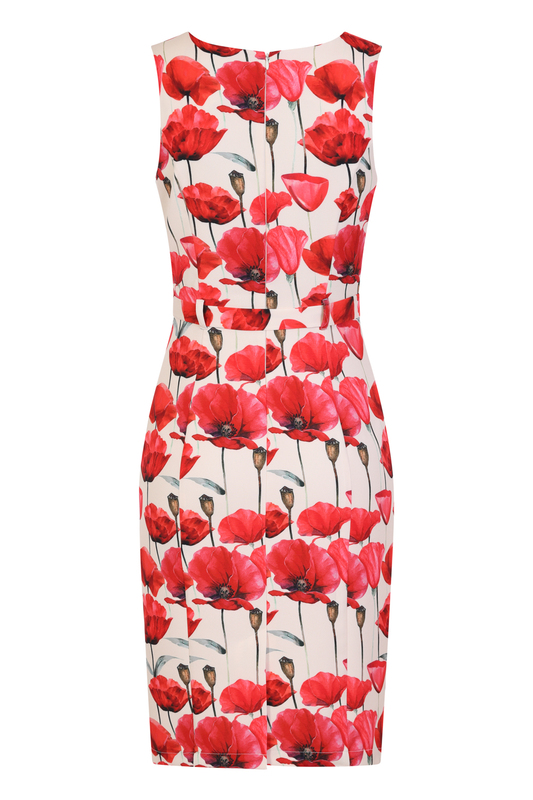 Whether it’s a picnic in the park or an evening celebration, this dress will have you covered for all occasions. 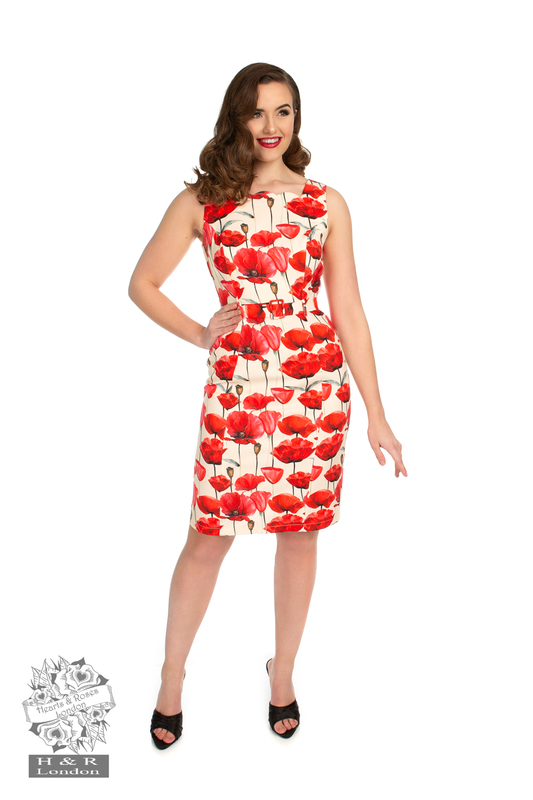 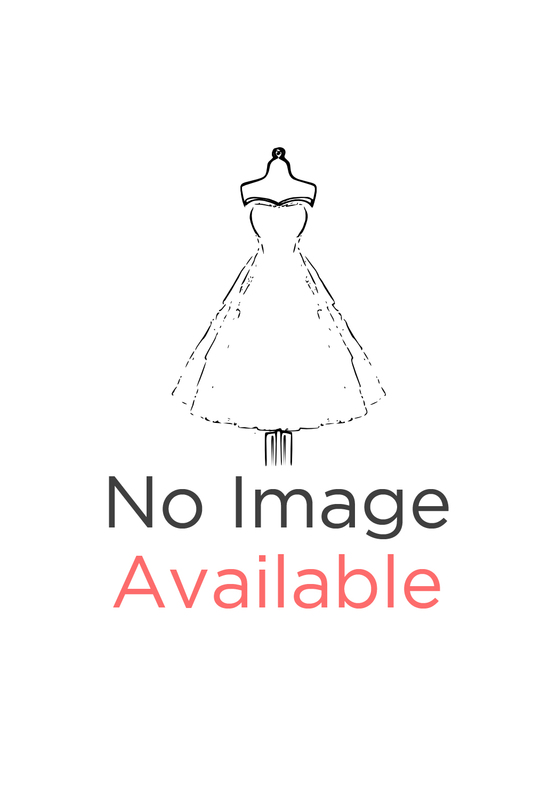 This style features a scalloped neckline, which plays perfectly with the bold poppy print and a self-covered rectangular belt for added elegance.